Taupo weddings in New Zealand take advantage of the blue waters, amazing cultural history and hundreds of volcanic geysers that shape this historic area of New Zealand. It has panoramic views that over look the famous Tongariro National Park and Mount Ruapehu. Taupo is only a few hours drive from New Zealand’s biggest city, Auckland. Perfect if you want to elope in Taupo. This means you don’t have to travel for hours to reach your fantastic New Zealand wedding destination. When you first arrive into the country you will likely fly into Auckland. Taupo is approximately 3 hours drive. 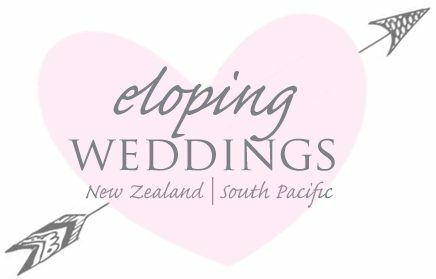 Eloping Weddings can arrange your whole wedding day easily and affordably. We can include amazing attractions along the way such as the famous Tongariro Crossing, thermal resorts, hot springs, bungy jumps, fishing trips and even river rafting or jet boat rides. We are proud to save you money leaving you more funds for a great little New Zealand holiday. From 5 star boutique accommodation in Taupo to heli-tours and scenic flights, Taupo really does have everything for the perfect elopement. Taupo weddings and eloping packages are famous for inducing New Zealands largest lake in your photos. Lets not forget the dramatic Huka Falls too. Taupo is also very close to the main North Island’s ski fields. Huka falls are extremely powerful and perform daily to thousands of tourists. They are also a great spot for wedding photo opportunities. Contact us for an information pack complete with prices on our wedding destinations. We have a variety of options to contact us for your convenience. Remember we can include pre-bookings for all your Taupo activities and adventures.